We build custom wheels to suit you and the way you ride, and we use carefully selected components to ensure that the finished wheels meet or exceed your expectations. We can guide you through the available choices, build a pair of wheels that are perfectly tailored to you and the way you ride, and then bring them to your house and fit them to your bike for you, and look after them for years to come. Welcome to the revolveMCR Wheelworks. Pick any two! We don’t really do ‘Cheap’ – handbuilt wheels start at around £100 each – but we definitely do strong and light. Every wheel we build is built specifically for a customer, taking into account their weight, their riding style and what they want from the wheel. We use hubs from Shimano, Campagnolo, BETD Goldtec and Novatec. 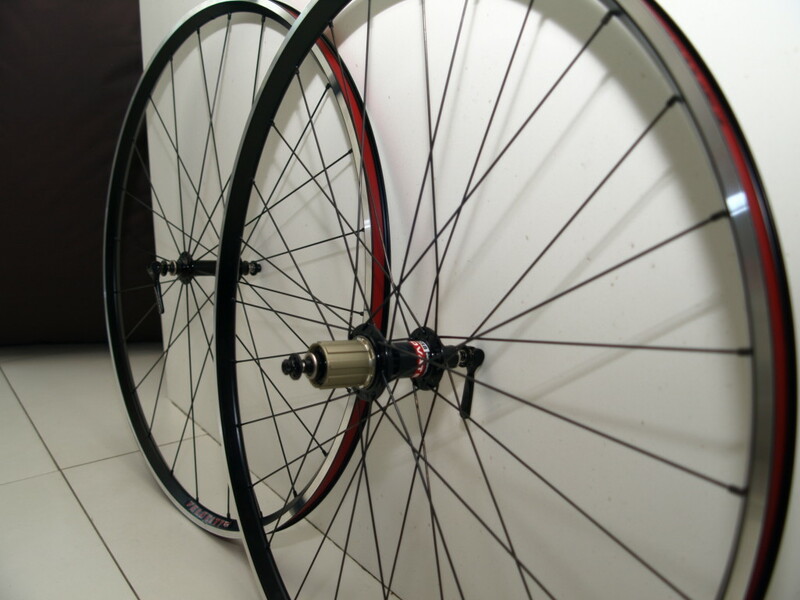 We use rims from Velocity, H+Son, Mavic, Ambrosia, Rigida and Kinlin. Over the next few weeks we’ll be getting this webpage sorted out to show some of the wheels we’ve been building, and some of the rim, hub and spoke options we offer. In the meantime, call Dave on 07939 062 600 to discuss your needs, and we’ll get your perfect wheelset sorted.